Cartridge collecting offers a great outlet for anyone interested in firearms and how they perform. In NSW you need a licence to collect cartridges and there are some restrictions on the type of live ammunition that can be collected when it comes to military ordnance. There are no such restrictions on sporting cartridges or military small arms cartridges, other than provisions for secure storage that apply to firearms. Under the present gun laws, you can have ammunition in your possession for any firearm your firearm licence entitles you to own, but you should not possess any ammunition for firearms outside your licence category. For example, if you have a Class A licence in NSW, you cannot have centrefire rifle ammunition in your possession. If you have a Class A and Class B license, you cannot have pistol ammunition in your possession. 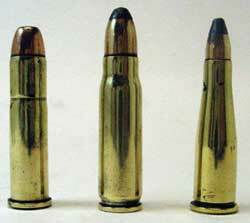 This is sometimes not clear, as some cartridges such as the .44 Magnum are chambered for both long arms and handguns. For this reason, a cartridge collectors licence is a good thing to have as it avoids any potential problems with ammunition you may innocently have in your possession. While researching an article on modern obsolete cartridges, I had cause to organise my collection, which has been accumulating for many years. I began some preliminary cataloguing and made inquiries to fill the gaps in the collection. My main interest is in getting a relatively complete collection of sporting and military small arms cartridges that we produced during the 20th century. While cartridge development continues unabated (the current rage is Short Magnum rifle cartridges), most smokeless powder cartridges were developed in the last decade of the 1800s and throughout the 20th century. There was an equal level of activity in the black powder era with many proprietary and commercial cartridges seeing the light of day between the end of the American Civil War and the advent of smokeless powder, and this an area of specialisation in itself. This was also the heyday of the rimfire cartridge and variation on the theme such as the pinfire. All this development has created a fertile environment for anyone interested in cartridge collecting in general or very specialised areas of particular interest. While I am most interested in the form and performance of cartridges (what they look like and how fast they go), there is another level of collector interest that may encompass variations in projectile design, manufacturers or cartridge headstamps. This last area of interest is a real challenge to the serious collector. For example, the 9mm Parabellum has been around for 100 years, and has been popular as a military cartridge, a police cartridge and for self-defence in countries with that right. As a result, there are believed to be more than 9000 headstamp variations for the 9mm Parabellum and no known collection is believed to contain more than 1000 variations. Sporting cartridges fascinate me because they all have a story to tell about their development and how the shooting industry has consigned them to fame or failure. Some reflect the egocentric behaviour of their inventors, notably in the USA, where influential gun writers push a particular concept and claim credit for its commercialisation. Others are practical developments that have come about to fill a particular performance niche. If the niche is too small these cartridges rarely survive but their history deserves to be preserved. One such example is the 7x33 Sako. This cute little cartridge was chambered in the short action Sako bolt action with a removable box magazine that preceded the L461. 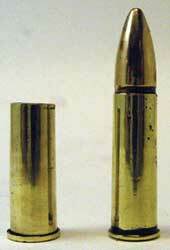 The stubby cartridge was loaded with a blunt 78-grain bullet that had a muzzle velocity of about 2200fps. I had one of these rare rifles in the 1970s for a while and still have a cartridge. It was designed for shooting caparcallie - large turkey-like forest birds that inhabit Scandinavian forests. The very modest performance was intended to cause minimal meat damage at the relatively close ranges at which the bird was hunted. I contacted a Finnish friend of mine who used to work for Sako and requested some background information on the 7x33 Sako. He told me it was no longer being used as a sporting cartridge. Another example of a cartridge with an unusual background is the French 6mm Velo Dog cartridge. This is the smallest centrefire cartridge I have seen. It was designed as a revolver cartridge specifically for shooting dogs that attacked bicycle riders early in the past century, hence the Velo (bike) Dog label. How do you keep track of what you have? Can you display your collection? How do you take care of your cartridges to maintain their value? If your area of interest is sporting centrefire cartridges, approach gun shops. Many gun shops sell individual cartridges from broken boxes of ammunition or from items handed in from estates or trade-ins. An ad in Australian Shooter is another way to flush out like-minded individuals and set up a network of cartridge collecting contacts. Gun shows are a great source of supply and occasional gatherings of cartridge collectors are the best source of both information and additions to the collection. There are a number of Internet-based cartridge collecting enterprises based outside Australia, but shipping live ammo internationally is not possible in most jurisdictions. Reference books are vital to any cartridge collector. Frank Barnes’ Cartridges of the World is now in its 9th edition and is something of a bible for collectors (although it does not have the 7x33 Sako in it). The three volumes of Fred Datig’s Cartridges for Collectors are also excellent references. There is a set of more than a dozen books by George Kass in his Headstamp Guide series covering both centrefire and rimfire cartridges. Copies of these publications may be available from specialist gun-book suppliers in Australia, but few gun shops or bookshops are likely to carry publications such as these. There are Internet-based international booksellers specialising in gun books that have offered excellent service. Sometimes they offer used versions of the rarer books at substantial discounts. One of the great reference works on British cartridges, although not directed at collectors, is John Taylor’s African Rifles and Cartridges, which details the history and performance of many British nitro cartridges developed earlier in the 20th century. The Internet is also a good source of information or contact your state SSAA office/secretary for contact information. I have kept all my old loading manuals, which have information on cartridge dimensions for older sporting cartridges. Books such as, Wolfe Publications’ Wildcat Cartridges which is also a good reference for non-commercial cartridges. It is a great help in identifying wildcat cartridges that are inevitably made up on commercial cases of some kind. A .444 Marlin headstamp that is obviously a smaller calibre is a good indication that there is a variation on that theme. Computers are great for keeping track of information, and that is how I catalogue my cartridges, although a simple data card system can work as well. It is easy to set up a simple database on a spreadsheet, or a more sophisticated system on a database program like Microsoft Access. To sort out my chaotic collection, as a first step, I purchase two sizes of zip-top plastic storage bags. The small ones hold one cartridge each and the larger ones can hold a set of cartridges of the same type/calibre. The cartridge ID can be written on the bags with a felt pen and that sorts them out at the start. Because I want to access cartridges for reference photography, I store them in a shallow drawer that is easily accessible. Used office furniture suppliers often have document storage filing cabinets that will do this job, and most are lockable, which satisfies the security requirements. Because most of my cartridges are relatively modern sporting cartridges, I do not hesitate in polishing all cartridges that have stained oxidised surfaces. I have a laminated cloth buffing wheel mounted on my bench grinder and using a fine polishing media, the original shiny brass surface can be reproduced without otherwise marring the surface of the cartridge. Historical cartridges may retain more value if left in the condition that reflects their vintage. Depending on your own requirements, leaving the cartridges in original condition is preferable, especially if you decide to trade them later. The polishing compound used on the cartridges has some silicone in it and leaves a water-repellent film on the surface, so the shiny finish resulting from polishing does not readily tarnish. Finally, cartridge collecting, compared to other gun-related activities, is relatively inexpensive and interesting cartridges can be picked up at modest prices - even exotic cartridges are generally affordable. Image 1: John Dunn, a committee member of the Australian Cartridge Collectors Association, shows what a well organised collection looks like, with each category of cartridges with its own drawer in the display unit. Image 2: While the .30-30 Winchester is very common, its offspring, like the .375 Winchester (right) no longer have rifles chambered in its calibre and is collectible rather than shootable. 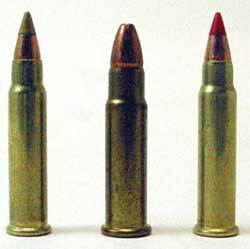 Image 3: While similar, the 7x33 Sako (centre) has no connection to the .32-20 Winchester (right) nor the .22 Remington Jet. The Jet is a pistol cartridge that is based on the venerable .32-20. Image 4: By absolute coincidence, the 100-year-old .310 Martini Cadet cartridge (right) is almost identical to the 7.62 Nagant Short target revolver cartridge developed by the Russians in the 1970s. 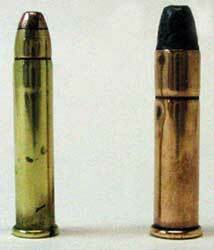 Image 5: Both these British cartridges represent the extremes of centrefire cartridge development. The .600 Nitro Express is one of the largest commercial centrefire cartridges while the Morris is one of the smallest. 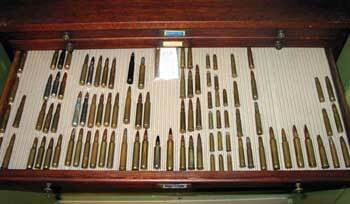 Image 6: Wildcat cartridges make cartridge collecting interesting. While similar to the .17 Remington (right), the .17 - .223 came along first as a wildcat and can be identified by the headstamp. Some variations can also occur within a particular wildcat design. Image 7: The new .17 Hornady Rimfire (Hornady at left, Remington’s version at right) has been an overnight success, while the 5mm Remington Rimfire with similar performance is now a collector’s item for which commercial ammo is no longer available. Image 8: The .25 Stevens Rimfire was popular early last century, as were many large calibre rimfire cartridges, but only .22s like the .22 Winchester Magnum have survived. Image 9: The .356 Winchester was a short-lived development to provide a more powerful cartridge for lever actioned Winchester rifles. It is shown with a .22 Rimfire for comparison.